Post Office Trial: Common issues trial judgment: part 5 - the Common Issues - who won what? Common issues trial judgment: part 5 - the Common Issues - who won what? This is part 5 of a six or seven part series which breaks down the common issues trial High Court judgment into bite-size chunks for the casual reader. Parts 1 - 4 are listed and linked to at the bottom of this blog post. I'll tell you now, parts three and four are the best. This part is concerned with the actual common issues which gave their name to the first trial. The findings have a huge bearing on the relationship between every single Subpostmaster and the Post Office both retrospectively and going forward. If you are a serving Subpostmaster, you may want to read this - large chunks of your contract with the Post Office have just become unenforceable. Also if you have ever been held liable for a negative discrepancy in your branch which you don't think was your fault... you might have a claim for getting it back. Again, the findings are below. 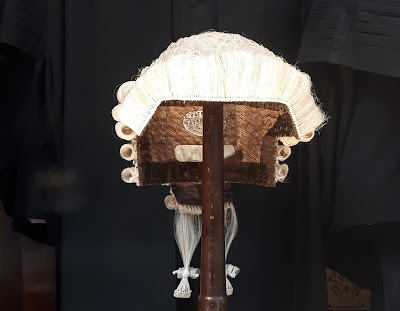 I hope this has piqued your interest because, to be honest, this was the toughest part of the judgment to get through - very few zingers, plenty of ifs and buts and lots and lots of case law, all of which I have tried to excise, in order to make the conclusions clear. What are these Common Issues things? Most people aware of the grievances held by claimant Subpostmasters in this litigation know about the Post Office's IT system Horizon. Few will have heard of the "common issues" and may want to know why they were the focus of the first trial. The common issues trial was essentially a trial of the Subpostmasters' contract. It covered how (and as it turns out, if) claimant Subpostmasters were contracted, the help they received or were entitled to under that contract (especially when they were having problems with Horizon), and the way they were suspended and/or "terminated" when things got ugly. The theory behind exploring the nature of the Subpostmaster contract was that once the judge had decided what the various iterations of the contract meant in law, it would make it easier to decide if the Post Office had been in breach of their contractual responsibilities in the way it dealt with individual claimant Subpostmasters. To simplify matters, the issues around the contract were boiled down to 23 "common issues" - areas which both the claimant Subposmasters and Post Office agreed needed a decision from the court. Unfortunately that's the only simple thing about it. The 23 common issues are subdivided many times (the common issues document runs to 20 pages - read it here! ), and the findings of the judge are manifold - ie some of his primary findings for some of the common issues are contingent on his findings of other common issues. To mitigate this, he makes separate secondary (and sometimes tertiary) findings on some of the common issues which aren't contingent on other findings. Also the judge does not deal with the common issues in order. Whilst there may be logical reasons for this, it makes it tricky to unpick the findings and present them in a way that makes sense to a lay person. To further complicate matters there are two main Subpostmaster contracts - the Subpostmaster contract [SPMC] which was largely in force from 1994 (well before Horizon was introduced in 1999/2000) and continues to exist today - and the Network Transformation contract [NTC], which started to appear in 2010. There are other iterations, such as the Modified SPMC, but leaving those aside, there are significant differences in the SPMC and NTC and, as he must, the judge applies both to the common issues. This, of course, introduces a whole subset of variations. On top of that - the Post Office contended that changes to operational manuals and various other communiqués sent down to Subpostmasters whilst they were contracted to the Post Office had a contractual effect. But you've made it all nice and easy to understand, haven't you? Up to a point. As well as the contractual issues above, there are also issues of significance to both parties surrounding the actions of both the Post Office and their Subpostmasters, not least whether pressing a button to agree or sign off branch accounts (a Branch Trading Statement) has the same legal import as an agent signing off a set of "settled" accounts to a principal. The Post Office claimed it did, which it felt then allowed it to initiate legal proceedings against some Subpostmasters for false accounting on that basis. The judge disagreed, and has found that if a Subpostmaster had raised an issue with those accounts before, during or shortly after "signing them off", they should not be treated as a final set of accounts. Unless I am missing something, that in itself makes the prosecutions for false accounting questionable - if a Subpostmaster had at any stage disputed them to the Post Office. If you want to read the judgment to get the detail, by all means do. What I have tried with this blog post is to draw out the headline findings and any interesting comments made by the judge (J Fraser) along the way. It is therefore not a complete picture, and given how dense the judgment is (400 pages, 180,000 words), I realise my selections may create inconsistencies. If that appears to be the case to you, please read the full judgment for clarity, and get in touch if I'm missing something important. So here goes: a fisking of paragraphs 640 - 1122 of the Common Issues trial judgment. I have paraphrased the common issues in italics, and put my own comments in bold. The judge's findings are prefaced by paragraph numbers or are presented in quotes. I will buy anyone who finishes this blog post a pint. Is the nature of the contract between the Post Office and the Subpostmaster "relational" - ie such that Post Office was subject to duties of good faith, fair dealing, transparency, co-operation, and trust and confidence? Short answer: Yes. Win for the claimants. 2. The Post Office knew not only of the size of this investment, but the source of an incoming SPM’s funds, as these were included in the business plans submitted by the SPMs. If the source of funds was not identified, this information would be sought by the Post Office. 3. The role of a SPM providing personal service entitled that SPM to benefits that had similar characteristics to that of an employment contract, such as entitlement to holiday substitution allowance. 4. The Post Office was careful, when considering potential SPMs for appointment, to assess the financial viability of the applicant for appointment. An element of approval, or “vetting”, was therefore involved in the Post Office deciding that an SPM’s business plan was viable. This is so regardless of the disclaimer (or variety of disclaimer) used by the Post Office, such as that identified at . This disclaimer does not mean, on its words, that the Post Office was not approving for its own purposes the contents of the business plan. not normally be commercially viable. There was therefore an aspect to this relationship that was other than purely commercial. 6. Trust is integral to almost all of the Post Office’s activities carried out in a branch between the SPM and members of the public wishing to use that branch Post Office. 7. The Post Office itself submits that it is essential that it can repose trust in its SPMs. I find that it is similarly essential that SPMs can repose trust in the Post Office, and I find as a fact that all six of the Lead Claimants did so. 738. In all the circumstances therefore, and in the context of the commercial relationship between each SPM and the Post Office, I find that these were relational contracts. I find that this means the contracts included an implied obligation of good faith. This means that both the parties must refrain from conduct which in the relevant context would be regarded as commercially unacceptable by reasonable and honest people. Transparency, co-operation, and trust and confidence are, in my judgment, implicit within the implied obligation of good faith. What implied terms exist within the contract between Subpostmasters and the Post Office? Short answer: Lots, but not all. Win for the claimants. Implied for reasons of business efficacy. (c) to (m) implied as "incidents" of the judge's finding that the terms are relational ones. Implied - but are narrower in scope than pleaded by the Claimants. Implied but without reference to the business, health and reputation of the SPMs. (u - also known in the judgment as 2(ii) a) The ability of the Defendant to recover and/or seek to recover any alleged shortfalls, whether while the relevant Claimant was a Subpostmaster or post- termination, was subject to an implied term requiring Post Office to do the same within a reasonable time of discovery or the date by which, with reasonable diligence, Post Office could have made such discovery. If the terms alleged above at (q), (r), (s), and (t) are to be implied, to what contractual powers, discretions and/or functions in the SPMC and NTC do such terms apply? Short answer: All of them. Win for the claimants. 768. Common Issue 3 is concerned with the consequences of the terms alleged at Common Issue 2(a)(q), (r), (s) and (t) being found to be implied for reasons of business efficacy, or as incidents of the contracts being relational contracts. The answer is that the implied duty of good faith applies to the exercise by the Post Office of all its contractual powers and discretions under both the SPMC and the NTC, including the four identified in this Common Issue. Did Post Office supply Horizon, the Helpline and/or training/materials to Subpostmasters (i) as services under “relevant contracts for the supply of services” and (ii) in the course of its business, such that there was an implied term requiring Post Office to carry out any such services with reasonable care and skill, pursuant to section 13 of the Supply of Goods and Services Act 1982? Short answer: No, but a functioning useful Helpline and decent training are to be implied under the terms of a relational contract. Win for the claimants. Were any or all of the express terms in the paragraphs listed below [lists several pages worth of express terms in the SPMC and NTC] onerous and unusual, so as to be unenforceable unless Post Office brought them fairly and reasonably to the Subpostmasters’ attention? If so, what, if any, steps was Post Office required to take to draw such terms to the attention of the Subpostmaster? Were any or all of the terms at paragraph (5) above unenforceable pursuant to the Unfair Contract Terms Act 1977? 1. The clause which allows the Post Office to unilaterally change the terms of a Subpostmasters' terms of appointment without agreement from the Subpostmaster has the potential to be onerous and unusual and may be unenforceable, depending on the scale of change the Post Office might wish to introduce. 2. The clauses in the NTC contract which hold the Subpostmaster strictly liable for any negative discrepancies in their branch accounts for any reason (save a robbery), or any negative discrepancy discovered in the Subpostmasters absence is onerous, unfair, unusual and unenforceable. "I accept that there is a high hurdle to be overcome to establish that provisions are onerous and unusual. These provisions, in my judgment, easily clear that hurdle by a significant margin... Indeed, in my judgment, they are on their terms capable of putting a SPM in a simply impossible position, under either contract form [SPMC or NTC]. Even after reinstatement, which may have eventually occurred after a very lengthy period of suspension (for which the suspended SPM has been paying the costs of keeping open the branch) the Post Office may decide not to pay any remuneration that would otherwise have been due. The consequences are potentially financially ruinous for any SPM." 4. The clause which allows the Post Office to terminate a Subpostmaster without for any breach of contract, no matter how small: onerous and unusual. Unenforceable. 5. The clause in the SPMC which allows the Post Office to terminate a contract with three months notice, without giving a reason: onerous and unusual. Unenforceable. 6. The clause in the SPMC which states: "The terms of the appointment of Subpostmaster do not entitle the holder to be paid... compensation for loss of office." and the clause in the NTC which states: “The Operator acknowledges that he shall not be entitled to receive any compensation or other sums in the event of the termination or suspension of the Agreement.” Both onerous, unusual and unenforceable. What is the proper construction of section 12, clause 12 of the SPMC? “The Subpostmaster is responsible for all losses caused through his own negligence, carelessness or error, and also for losses of all kinds caused by his Assistants. Deficiencies due to such losses must be made good without delay." Short answer: It is as it reads, but the Post Office must prove negligence, carelessness or error and/or the negligence, carelessness or error of the Subpostmasters assistance before demanding any losses are made good. Win for the claimants. 646. ... I consider that the correct meaning of Section 12 Clause 12 is that the SPM [Subpostmaster] is responsible for losses that are caused by his own negligence, careless or error, and that it is for the Post Office to prove that any particular loss falls within that category. I consider that this is clear on the natural meaning of the words. 647. It might be thought that such a construction of the words ought not to be wholly controversial, but it is hotly controversial when one considers the argument advanced by the Post Office. 652... By entirely circular reasoning, the Post Office contends that it can rely upon Section 12 Clause 12 for what the Claimants called Horizon generated shortfalls, unless the SPM could show that such deficiencies were not due to his or her negligence, carelessness or error... Because this has the effect of shifting the burden back on to the SPM, the Post Office both argues for, and has in the past applied Section 12 Clause 12 as justifying, recovery under this clause for all losses, unless an SPM could show that the deficiencies and shortfalls were not due to their own negligence, carelessness or error. 653... It is not for a SPM to demonstrate that there was no negligence, carelessness or error on his or her part. It is for the Post Office to demonstrate that there is. What is the proper construction of Part 2, paragraph 4.1 of the NTC? Short answer: the judge rules it confers strict liability on the Subpostmaster, but as we have seen above, he also finds it is unenforceable on grounds of being onerous and unusual, and unfair. Win for the claimants. 682. On the natural meaning of the words, I consider that as a matter of construction this clause in the NTC imposes full liability upon a SPM for any losses to cash and stock, whether by as a result of negligence or otherwise, with the sole exception being losses arising from criminal acts which could not have been prevented. 687. The Post Office must, however, demonstrate that there is a “loss” and “a resulting shortfall”. This means a real and actual loss. A Horizon generated figure that was incorrect due to a bug or software glitch would not be a real and actual loss. 1010. [It] is, in my judgment, an onerous and unusual term. It has a very wide ambit, with potentially very serious financial implications for any SPM. Its effect is, absent any fault on the part of that SPM, that they may become liable for very sizeable sums with no upper limit, for something entirely out of their control. Short answer: No. Win for the Post Office. Nothing changes. (c) Further or alternatively, where the Defendant alleged shortfalls to be attributed to the Claimants, to comply with the duties set out in paragraph 2 (d) to (l) above. Short answer: No. Win for the claimants. 820. I consider that if and insofar as, during or at the end of any branch trading period, any SPM contacted the Helpline in relation to any shortfall, discrepancy or disputed TC, the Branch Trading Statement for that period cannot be treated as an account rendered by an agent to the principal which can only be opened up if the SPM can demonstrate a mistake. I also consider that this conclusion applies regardless of whether the matter is approached (correctly) through the contractual obligation upon a SPM in either the SPMC or the NTC, or whether the Post Office’s approach relying upon common law principles were applied (although I do not consider this to be the correct approach). 821. The issue of an SPM as an agent deliberately rendering a false account to his or her principal, in relation to any such Branch Trading Statement for such a period therefore simply does not, in my judgment, arise." Did Subpostmasters bear the burden of proving that any Branch Trading Statement account they signed and/or returned to Post Office was incorrect? Short answer: No. BIG win for the claimants. 822. I... simply do not see how it can sensibly be suggested that SPMs bear such a burden, for any branch trading period when a SPM has called the Helpline and sought help for an unexplained shortfall, discrepancy or disputed TC. If you get the chance, do please read the section of the judgment from 822 - 853 in which the judge spells out the impossibility of a Branch Trading Statement being what is known as an expression of settled accounts, if the Subpostmaster had raised an issue with any aspect of compiling them. In my view it makes a charge of false accounting almost impossible to stick. On a proper construction of the SPMC and NTC, in what circumstances and/or on what basis was Post Office entitled to suspend...[sniiiip!]? Short answer: Proportionally. Score draw. 886. There are policies that the Post Office has adopted, which it deploys in parallel with suspension, which I do not consider justified on the terms of the contract, even without the finding that they are relational. Suspended SPMs are not only entirely excluded from the Post Office part of their premises, they appear to be excluded (in some cases) from the entire premises, and also are completely denied access to any information or records. Given the severe effect upon a SPM of having their appointment terminated, it is not only important, but I would go so far as to say crucial, that they are given a reasonable opportunity to meet the case being brought against them by the Post Office. It is difficult to see how they can have such an opportunity if they are denied access even to copies of information or records. The experience of Mr Abdulla shows that he was, at his interview with Mrs Ridge, not given access to documents that showed his account concerning the TC and the lottery in the sum of £1,092 was substantiated by internal Post Office records. Mrs Ridge did not have these either. I do not see how a decision about a SPM’s future can sensibly be taken on proper grounds in the absence of such a document being made available either to the SPM, or to the Post Office personnel tasked with taking such a decision. Such an approach is not justified on the terms of either the SPMC or the NTC. On a proper construction of the SPMC and NTC, in what circumstances and/or on what basis was Post Office entitled summarily to terminate? On a proper construction of the SPMC and NTC, in what circumstances and/or on what basis was Post Office entitled to terminate on notice, without cause? 899. I consider that in both instances – termination without notice, and termination summarily – the Post Office must take the decision in accordance with the obligation of good faith. The decision to terminate without notice can only be taken if the contractual right to do so has arisen, which on the construction that I have considered, means a SPM must be in repudiatory breach of contract. Good faith, on my findings that these contracts are relational ones, govern the behaviour of both parties, the Post Office and SPMs. Do the express written terms of the SPMC and NTC between Post Office and Subpostmasters represent the true agreement between the parties, as to termination ? (d) in response to reasonable correspondence about (i) any apparent breach by the Defendant, or (ii) alleged shortfalls and the difficulties faced by Subpostmasters in investigating alleged shortfalls (such as in the case of Alan Bates and his letters dated 19 December 2000, 18 July 2001, 7 January 2002, and 13 February 2002). ii. the Defendant would not terminate without giving such notice as the court may hold to be reasonable (which the Claimants will contend was, on any view, never to be less than 12 months)? Short answer: the judge decided the decisions he made in Common Issues 15 and 16 largely obscured the necessity to make a definitive ruling on Common Issues 17 and 18. On a proper construction of the SPMC and NTC, where Post Office lawfully and validly terminated a Subpostmaster’s engagement, on notice or without notice for cause, was the Subpostmaster entitled to any compensation for loss of office or wrongful termination? On a proper construction of the SPMC and NTC, in what, if any, circumstances are Subpostmaster’s breach of contract claims for loss of business, loss of profit and consequential losses (including reduced profit from linked retail premises) limited to such losses as would not have been suffered if Post Office had given the notice of termination provided for in those contracts? Short answer: No separate ruling was needed by the judge on Common Issues 19 and 20 as the issues were dealt with in Common Issues 5, 6 and 7. On a proper construction of the SPMC and NTC, what if any restrictions were there on Post Office’s discretion as to whether or not to appoint as a Subpostmaster the prospective purchaser of a Subpostmasters’ business? Short answer: None. Win for the Post Office. Did SPMC section 15, clause 7.1; NTC, Part 2, clauses 2.3 and 2.5 and/or any of the implied terms contended for by the parties and found by the Court purport to confer a benefit on Assistants for the purposes of section 1 of the Contracts (Rights of Third Parties) Act, and if so which of these terms did so? Short answer: No it didn't. Win for the Post Office. What was the responsibility of Subpostmasters under the SPMC and the NTC for the training of their Assistants? Short answer: Postmasters are responsible for training their assistants. But they cannot be expected to train them better than they have been trained themselves [by the Post Office]. An assistant can only be expected to operate to the same level as the Postmaster who trained them. And if the Post Office has been deficient in training them, it's not the assistant, or the Subpostmaster's responsibility. Score draw. 951. ... The Post Office takes issue with the SPMs’ argument that they cannot “have been better able to train Assistants than the training provided by the Defendant would allow or enable”. The Post Office stated that this was an assertion of “a limiting principle that would have to be implied and which does not stand scrutiny”. However, the Post Office’s case ignores what the word “cascade” in Part 2 Paragraph 2.4 of the NTC must connote. This must mean passing down of the training or knowledge acquired during training, and that training (or acquired knowledge) was to be provided by, originate with, and come from the Post Office. 952. The Post Office’s arguments on this also suffer from a complete lack of logic. There is no way that a SPM could, on Horizon, train his or her assistants to a higher level of competence than the Post Office’s own training had given that SPM. In other words, any deficiency of training given to the SPM by the Post Office is not cured, in contractual terms, to the Post Office’s benefit by that deficient training being passed on to an assistant by that deficiently trained SPM. I find this argument by the Post Office to fly in the face of commercial, business and indeed common sense. I construe the relevant terms in the contracts to that effect, but if it is necessary to imply a term (and at least so far as the non-modified SPMC it is, because it does not deal with this subject expressly at all) then I do so due to business necessity. 953. The second qualification or feature, is that a subject such as training an individual to work on a computer system is something that should be approached co-operatively. Given my finding that these contracts are relational contracts, I would expect the parties to co-operate in terms of the provision of training on Horizon. It is in both parties’ interests that the assistants being used by a SPM had reached a particular standard in use of the Horizon system. AND THAT CONCLUDES THE FISKING OF THE COMMON ISSUES BIT OF THE COMMON ISSUES TRIAL JUDGMENT!!!! If you really did read this far and didn't just scroll to the bottom to find out what happened, then you have won a pint of beer, redeemable when you next see me. Common Issues trial: the judge's comments - part 3, (paragraphs 365 to 558) which deals with the credibility or otherwise of the 14 Post Office witnesses who took the stand, and is very readable. Please feel free to forward the link to this blog post. The more people who read it, the more people find out about what is the biggest trial going through the UK courts right now. 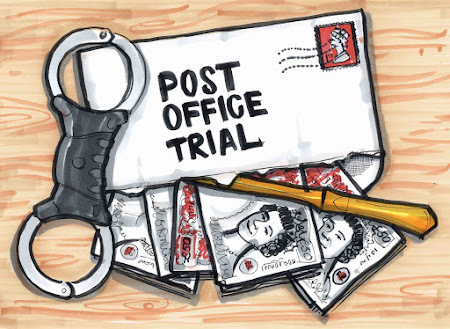 Please also consider a donation to keep the postofficetrial.com website going by choosing an amount and clicking the button at the bottom of this post. Contributors who donate £20 or more will be added to this secret email list. Thanks!